SIMPLE FIX PANEL REPLACEMENT KIT SAF – Southern Aluminum Finishing Co, Inc.
Villa Rica, GA – January 26, 2017 – SAF Fabrication introduces the Simple Fix Panel Replacement Kit. The kit enables quick replacement of a single, damaged RainScreen panel in the field, without having to remove surrounding undamaged panels. 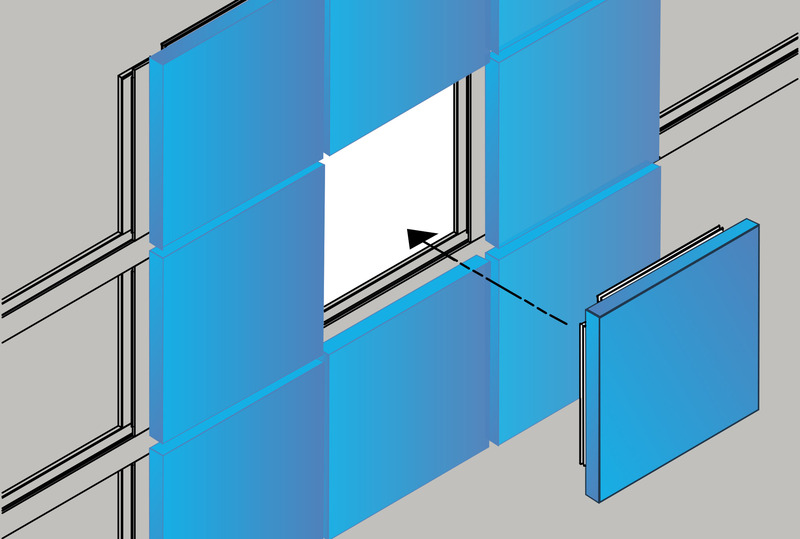 The Kit works with new and existing SAF C4000 or M4000 RainScreen System Panel installations. 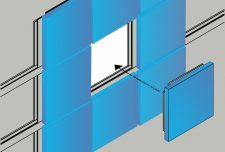 Since the advent of RainScreens, curtainwall fabricators and panel installers have searched for a simple solution for replacing individual panels in wall panel installations. Pulling apart whole sections of an exterior building panel wall was disruptive, especially for occupied buildings. The Simple Fix Panel Replacement Kit is designed to easily return a building wall to its original appearance and ensure the RainScreen continues to function like new. With Simple Fix Panel Replacement Kit, SAF offers an innovative solution to a longstanding issue, and adds unique value to the company’s RainScreen Panel system. “Building owners, maintenance personnel, and contractors are excited to learn how wall panel repairs can be done so quickly and effortlessly. We are committed to developing Engineered Systems and Solutions that are easy to install and maintain,” explains Frank Buchholz, SAF General Manager. Background SAF is a mill-direct aluminum buyer, an approved fabricator for major Aluminum Composite Panel (ACM) manufacturers, and a mill-direct buyer of aluminum coil and extrusions. In addition to providing custom fabrication, painting & anodizing, SAF Metal Fabrication engineers aluminum, panel and column systems for commercial building projects.